Hello, I am Ava Blass top-gal at moodfoodmove. 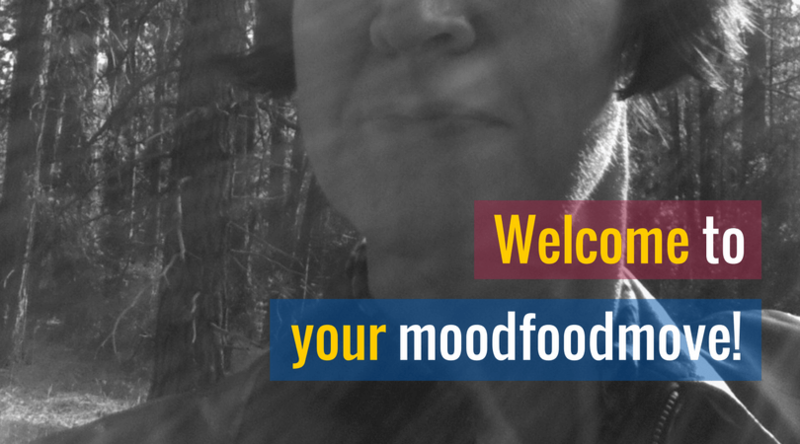 It’s a delight to welcome you to the moodfoodmove website – which I hope will contribute something valuable to your quality of life. moodfoodmove‘s hope is that you’ll take better care of yourself. And I want you to take better care of yourself – so that’s been the thinking behind the collection of goodies I’ve lovingly compiled for you. moodfoodmove is all about doing things – whether it’s drinking chamomile tea, or going for a walk, or taking a moment to breathe deeply. moodfoodmove‘s approach is practical and tools-based. Everything here aims to be actionable… something that you can do to move your life forward in a positive way. Whilst reading about stuff is great (knowledge = understanding) I’d rather that you actually implement something positive/healthy, than just read about it. It’s the move part of moodfoodmove. Move your life forward. But underpinning all those tools is a knowledge-base. I have a fancy science degree from a good university – I am a scientist at heart. Everything that moodfoodmove offers by way of tips, ideas, tools, has scientific substance to it. I’d like to think that you are in safe hands when you are hanging out with moodfoodmove. Everything that moodfoodmove offers has solid reasoning behind it. I’d like to think that you are in safe hands when you are hanging out with moodfoodmove. Please read the website’s footer though. moodfoodmove‘s objective is to add something positive to your life, your health, your sense of self. If you’re really struggling you should be supported by your medical practitioner, your therapist, your religious advisor – a real life person who can sit with you and listen. My hope is that moodfoodmove offers resources which you can use to facilitate a discussion with these experts. Take the leap… become a moodfoodmover! 1. Read about the moodfoodmove approach. Here you’ll find reasonable detail about what moodfoodmove aims to do, and why, and how. 2. Look over the about moodfoodmove page. This is a fancy page which is all about me, and what I bring to the table. 3. Like the moodfoodmove Facebook page. It introduces you to tools and resources you can try out yourself, or look into further. 4. Follow moodfoodmove in Instagram… for moodfoodmove‘s fabulous and informative infographics! 5. 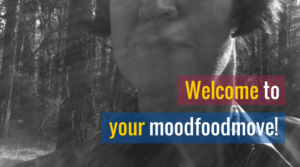 Follow moodfoodmove in Twitter… which is a bit of a hub for moodfoodmove posts in social media. I also share interesting tweets from people I myself follow. 6. Contact moodfoodmove via the contact moodfoodmove form. You’ll find this in the Let’s Connect page. 7. Sign up to moodfoodmove mailing list. You’ll also find it in the Let’s Connect page. You’ll receive a notification email whenever moodfoodmove posts a new article. 8. What would be the best of all? : Read the moodfoodmove articles. Writing doesn’t come naturally to me. So, please be nice and read those things that I’ve labored over. Take better care of yourself, lovely people. You have a bright future ahead of you.